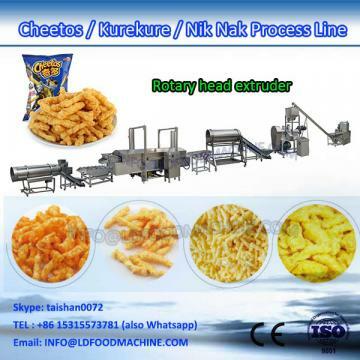 Chizitos food processing line form the highest quality extruded collets from corn grits can produce kurkure, niknaks, cheetos,cheese corn curls etc. 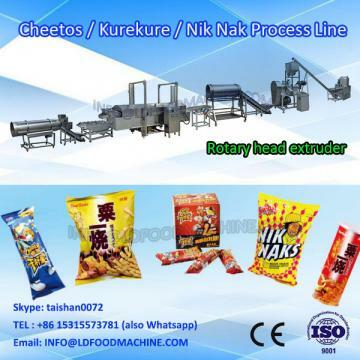 Chizitos food processing line is for extrusion and shaping, other accessories will be allocated based on customers' requirement, such as oven or fryer, flavoring system, etc. 4. how does Chizitos food processing line work? 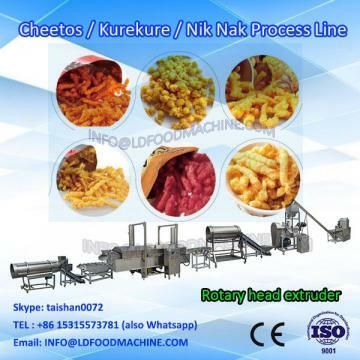 Here is a brief introduction to our Chizitos food processing line, if you are interested in our machines or still have any questions,pls feel free to contact with me by mail or whatapp(0086-1566776101). Leveraging our expertise in twin-screw and single-screw technology, we provide integrated turnkey extruder production lines, dryers and ancillary equipment to our customers.These reliable and innovative systems are mainly served for“Food & Feed“industry. Sunward is constantly innovating through co-development partnership projects with its customers in every cooperation with our customers.The company, which has a strong quality culture and a commitment to responsible environmental action, is certified ISO 9001 and CE. We provide local services to all our markets by offering our advice and expertise: spare parts and upgrading, equipment and ancillary modules, automation systems, training, process support and remote and on-site maintenance. Technical support is provided by a team of specialists. 1.Related machines's technical parameter will be supplied to customer. 2.According to customer's factory size, factory layout can be provided in advance. 3. According to customer's material cost, general formulation can be prepared well. 4.Special machine can be supplied as customer's request. 1.Allocation chart as the buyer's request will be supplied. 6.Training workers in customer's factory. Our engineers available to service machine overseas . Q2: If machines wearable parts need to change, what should we do? Q3: What is the payment terms if we want to buy the machines?